BOTH LATIN AMERICAN STATES REPRESS THEIR CITIZENS AND HAVE LITTLE REGARD FOR HUMAN RIGHTS, SO WHY HAVE THEY RECEIVED SUCH DIFFERENT TREATMENT FROM CANADA AND OTHERS? Original Article: Cuba, Sí, Venezuela, No? For years the Trudeau government has been exceptionally forceful in its condemnation of Nicolas Maduro’s budding dictatorship in Venezuela. The three main parties in Ottawa are strangely in lockstep to denounce the “erosion of democracy” in that once prosperous and democratic nation. But the Trudeau government is particularly combative. This is a strong contrast to our policy toward the only country in the region that is arguably a worse offender of democratic rights: Cuba. For if “Canada will not stand by silently as the Government of Venezuela robs its people of their fundamental democratic rights,” its policy toward Cuba has studiously been to stand by silently as the Castro brothers and now President Miguel Díaz-Canel robs the Cuban people of their fundamental democratic rights. 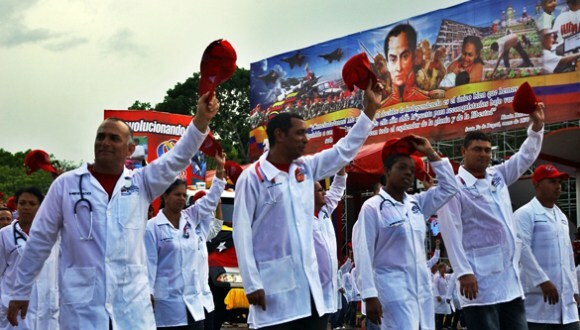 The kind of elections held on May 20 in Venezuela, while clearly unfree and unfair, would represent a positive step toward pluralism in the one-party system of communist Cuba. For one, Maduro banned his main opponents from running, but he did allow two marginal opponents to campaign and compete for the presidency. Neither the Castro brothers nor Díaz-Canel ever had to run against anybody. For decades they were appointed unanimously by a rubber-stamp legislature completely controlled by the only party allowed in the country. Arbitrary detentions, total control of all branches of government by the executive, and violation of democratic rights are systematic and written into law on the island. While Maduro is accused of violating the constitution of the Bolivarian Republic of Venezuela, his Cubans counterparts do not need to disregard their 1976 constitution to trample democratic rights; its template is the USSR’s constitution of 1936 (imposed there under the leadership of Joseph Stalin). Cubans visiting Venezuela are pleasantly surprised at how relatively free the media and Internet access are compared to the reality at home. Monitoring organizations such as The Economist Intelligence Unit, Reporters without Borders and Freedom House rank Cuba lower than Venezuela in their indexes of democracy, press freedom, and civil and political rights. True, violent repression in Cuba is not as overt as it has been recently in the patria of Bolivar, where up to 160 civilians were killed by government forces during the massive street protests of last summer. Arguably, this is because Cuba is a more stable dictatorship, one that has already exported most of its opposition overseas. 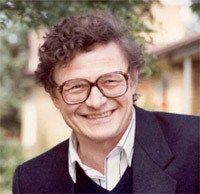 Short-term arbitrary arrests of human rights activists, independent journalists and dissonant artists appear sufficient to curb public criticism. Incidentally, the number of such arrests “have increased dramatically in recent years” according to Human Rights Watch. The dissident Cuban Commission for Human Rights and National Reconciliation reports 5,155 such detentions in 2017. As Venezuela becomes more totalitarian, and more of its aggrieved citizens rush to the exit, it will conceivably experience lower levels of violence and unrest. To recall: in the wake of the 1959 revolution, violent clashes with the “counter-revolutionary” opposition lingered on until mid-1965 in Cuba — Fidel Castro had become a master of counter-insurgency. According to some observers, the humanitarian situation may be worse in Venezuela, primarily because of rapidly deteriorating access to food and medicine. But then again, it is hard to measure and compare. 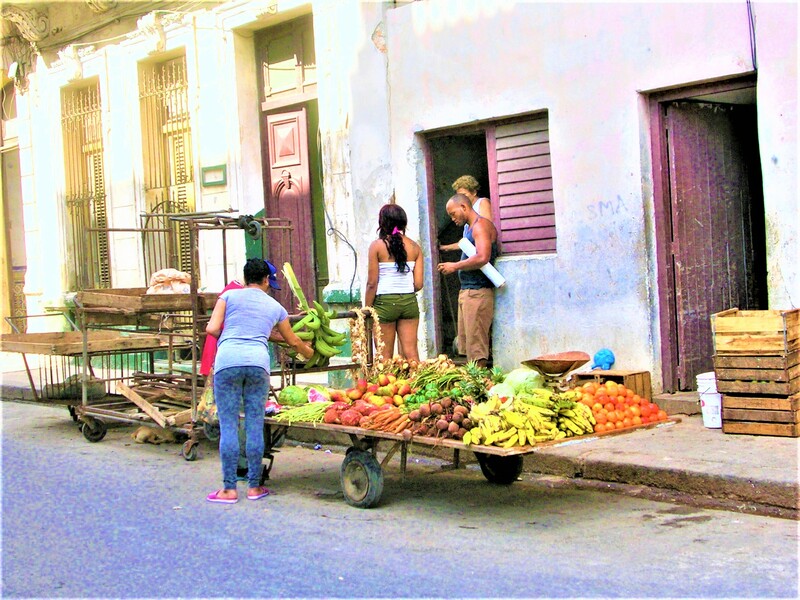 The Cuban government does not produce statistics on poverty on the island. 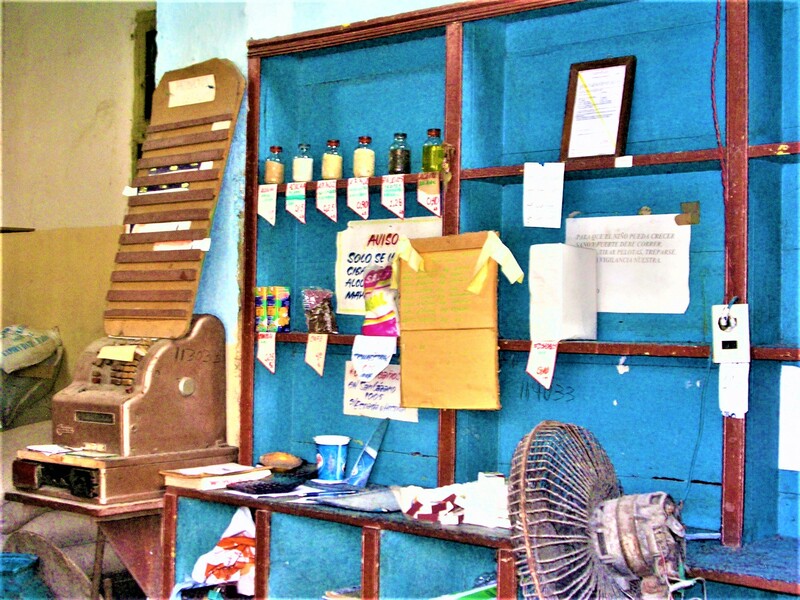 We know most Cubans are very poor, especially if they don’t have access to remittances regularly sent by their family in exile, a source of income not (yet) available to most Venezuelans. And yet, under Trudeau, Canada’s relations with communist Cuba have returned to their former glory. Seasoned advocate of ever-closer Canada-Cuba relations, professor John Kirk, recently waxed eloquent at a conference in Barcelona about a newly found “warm embrace” between the two countries, with increased investments, cultural ties, and exchange of high-ranking government ministers in both directions. The Canadian government, according to its approach presented online, is about “unlocking opportunities” and trade, not about sanctions and denunciations of undemocratic practices. When CBC News senior parliamentary reporter Catherine Cullen asked Trudeau whether he believes Castro was a dictator, Trudeau tepidly replied: “Yes.” Yet he sends very mixed messages and seems to prefer overlooking the darker side of the Cuban regime. One can think of several plausible explanations for this discrepancy, starting with the Trudeau family and its strange fascination with Fidel. Comparisons with US President Donald Trump’s man crush for Vladimir Putin come to mind. One cannot help but wonder if Freeland’s silence on Cuba (it would be a shoe-in addition to her Putin-Maduro axis of evil) is a concession made to the boss. Other explanations, inter alia: Venezuela is (still) an OAS member, unlike Cuba, though if memory serves, Canada and other principled guardians of the OAS Democratic Charter are invariably sanguine about welcoming Cuba back to the hemispheric fold. Perhaps hostility toward communist Cuba is now perceived as an outmoded residue of the Cold War. Venezuela is a post-Cold War failing state, driven to the ground by a clumsy heir of Hugo Chávez, with no Bay of Pigs or even embargo (the US purchases most of Venezuela’s oil) as convenient excuses. The most credible justification for such double standards is that Venezuela is in the midst of a crisis, with lots of moving parts, rather than being fully constituted (or ossified) like Cuba, where it is too late for pressures to work. The island fully “slipped into authoritarianism” — just as Freeland described Venezuela recently — in 1952 and then into totalitarianism in the 1960s. 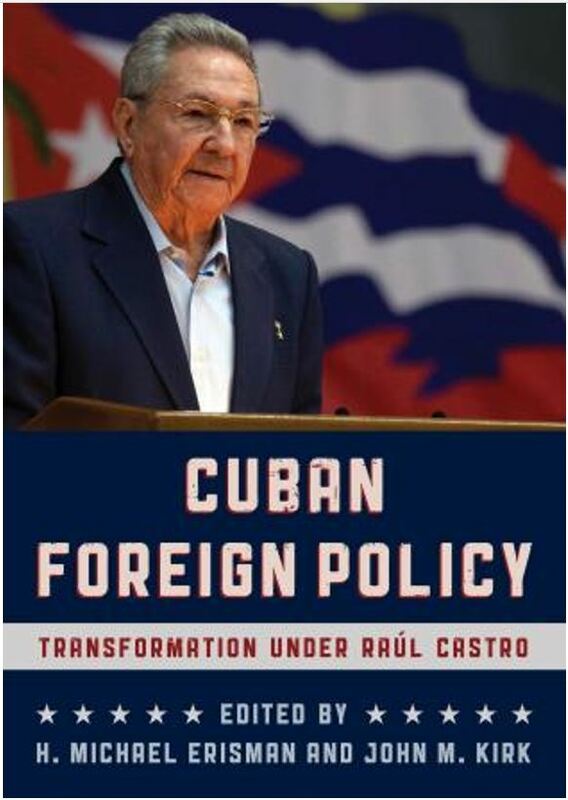 Former US President Barack Obama’s rationale for opening up to Cuba was ostensibly that the US tried to topple the regime for longer than he lived, and repeatedly failed. Venezuela is still in flux, increasingly isolated in the region and the world, and consequently, amenable to change under international pressure. Maybe. Be that as it may, Canada would be well advised to consider the responsibility of Cuban leaders in the current crisis in Venezuela. Cuban infiltration of Venezuelan state institutions is complete, as Cuban “advisers” can be found in virtually every single office, ministry or barrack of the Venezuelan state. Meanwhile, millions of Venezuelan oil dollars (even foreign oil bought by Venezuela and gifted to Cuba) flow into Cuba’s coffers. Venezuela had been an obsession of Fidel’s since the early 1960s and turning the country into a Cuban ally was his greatest foreign policy accomplishment. His smaller and poorer country astonishingly managed to infiltrate what is after all a larger and richer country. When Chávez declared in 2007 that Cuba and Venezuela were a “single nation” with a “one single government,” he was not kidding. So, in other words, Canada is excoriating Venezuela for trying to emulate a country Canada is proud to have sunny relations with. To be provocative: would the Canadian government like Maduro more if he, like Cuban leaders, banned competitive elections altogether and closed the borders? Leaving aside the complementary but separate discussion on what policy is best for Canada, one can at least say this: if Canada continues to pick its human rights policies à la carte, raging against violations in one country and glossing over possibly worse ones next door, the world may notice and take neither Canada’s principled position nor its not-so-principled position seriously. And if global consistency is too much to ask (after all, Canada seems to get along fine with China, Saudi Arabia, etc. ), at least some regional evenness or just an explanation would be most welcome. 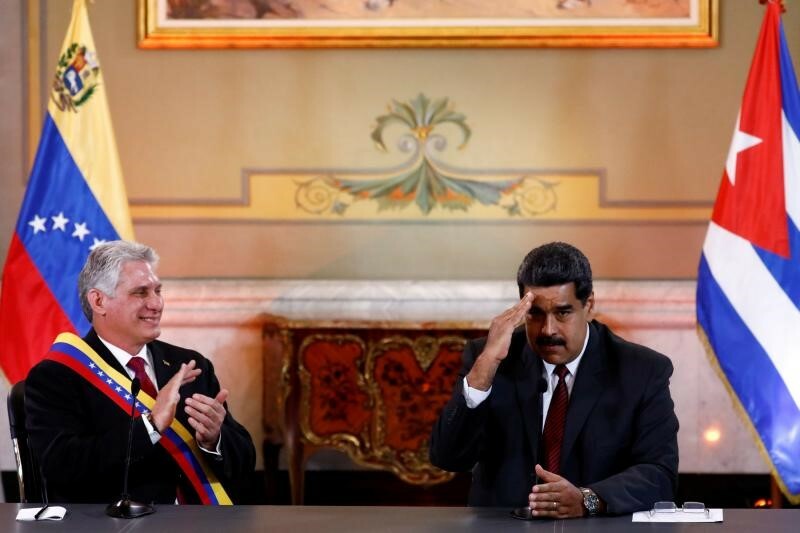 CARACAS (Reuters) – Cuba’s President Miguel Diaz-Canel flew to Caracas on Wednesday for his first foreign trip as head of state, a show of solidarity for Venezuela President Nicolas Maduro, whose controversial re-election this month has drawn condemnation in the West. 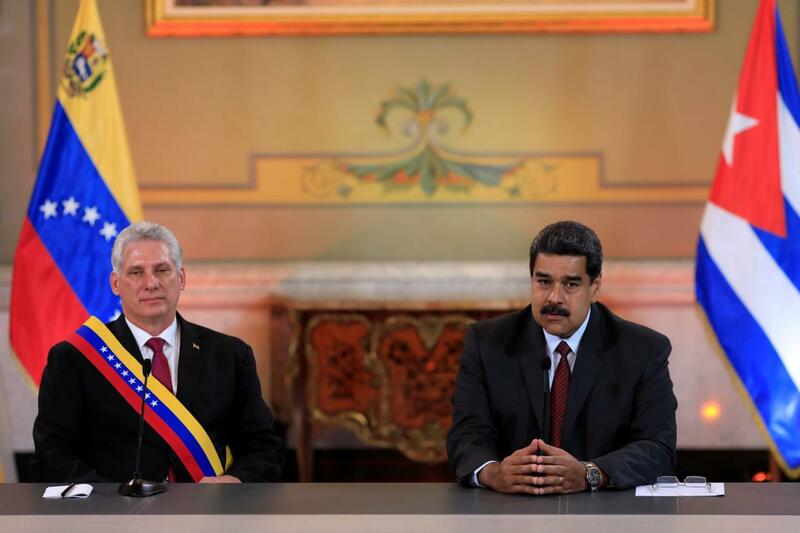 “I pledge to you that no matter how big the challenges, you can count on Cuba today and forever,” Diaz-Canel said after meeting Maduro in the Miraflores presidential palace. “Venezuela now needs our solidarity,” he earlier told Venezuela’s Constituent Assembly, a pro-government legislative super-body. The United States, the European Union and major Latin American countries have condemned Maduro’s May 20 re-election, saying it did not meet democratic standards. Two of his rivals were barred from standing and the election board is run by loyalists. The U.S. government imposed new sanctions on the crisis-stricken oil exporter. But China and Russia have warned against meddling in the Socialist-run country, and fellow leftist governments in the region from Cuba to Bolivia have offered their support. “Your words express the best of the Cuban people and we are forever grateful for the support you have given us,” said Delcy Rodriguez, a senior Maduro ally who heads the Assembly, which critics say has undermined the opposition-controlled legislature, the National Assembly. 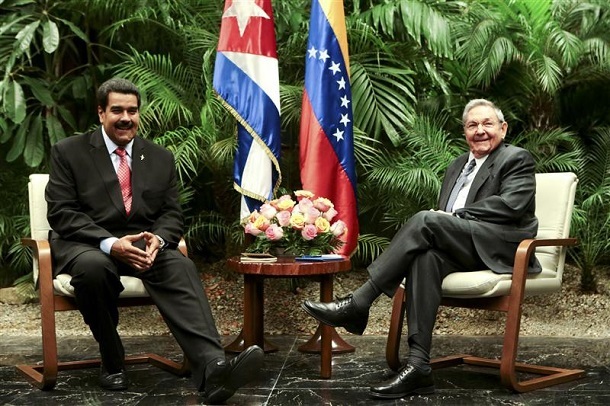 Maduro was the first foreign leader to meet with Diaz-Canel last month after he succeeded Raul Castro to become president of the Communist-run island. Venezuela, which holds the world’s largest oil reserves, exchanges crude for Cuban medical and other technical services, though deliveries have dropped in recent years during an economic implosion in the country of 30 million people. Venezuelan opposition politicians say bilateral relations with Cuba are deeply unfavorable. “Maduro did not sell the country, he handed it over. NATIONAL SHAME!” tweeted opposition lawmaker Juan Guaido, posting a picture of Diaz-Canel wearing a sash with the yellow blue and red Venezuelan colors on Wednesday. Diaz-Canel flew to Venezuela with his wife Liz Cuesta as first lady, in a break with custom during the nearly 60 years’ rule by the Castro brothers Fidel and Raul who generally traveled without their spouses. Diaz-Canel’s visit came as Cuban authorities faced the chaos of flooding in the wake of Subtropical Storm Alberto that has killed already four people and prompted the evacuation of tens of thousands. The crisis in Venezuela has spread to its closest ally Cuba, with Havana warning of power rationing and other shortages that some fear could mark a return to the economic austerity that traumatised the island nation after the collapse of the Soviet Union. 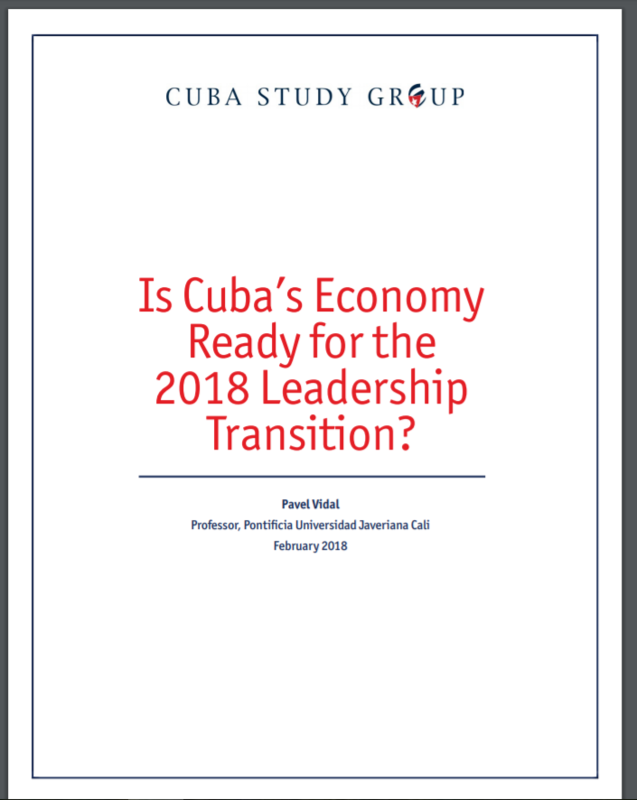 Only a year after the euphoria that followed the re-establishment of diplomatic relations with the US, hopes of an economic rebound in Cuba have faded and an undercurrent of concern and frustration is evident on the streets of the capital. Government offices now close early, with open windows and whirring fans in lieu of air-conditioners. 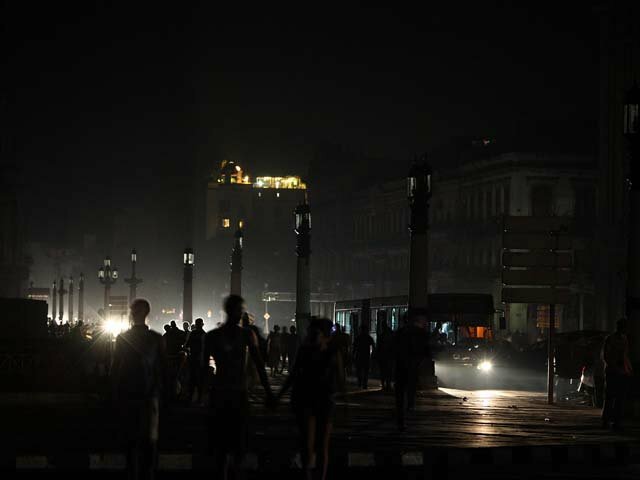 Already scant public lighting has been reduced further, and traffic in Havana and other cities is down noticeably. Fuel consumption has been cut 28 per cent between now and December, electricity by a similar amount and imports by 15 per cent, or $2.5bn, in a centralised economy where 17 cents of every dollar of economic output consists of imports. But crippling shortages, rampant inflation and an economy that is expected to shrink 10 per cent this year have forced Venezuela’s president Nicolás Maduro to cut back. According to internal data from state oil company PDVSA seen by Reuters, oil deliveries to Cuba are down a fifth on last year. Venezuela has for 15 years supplied unspecified amounts of cash and about 90,000 barrels per day of oil — half of Cuba’s energy needs. Havana in return sold medical and other professional services to Caracas. Venezuelan aid helped to lift Cuba out of an economic black hole after Soviet subsidies ended in 1991. Although Venezuelan aid is a fraction of Soviet help, mention of the “special period” that followed the fall of the Berlin Wall provokes traumatic memories in Cuba, with many remembering shortages so severe they ate street cats. Karina Marrón, deputy director of the official Granma newspaper, this month warned of possible street protests similar to 1994. So-called rapid response brigades, formed in the 1990s to quell social unrest, are back on alert, according to one brigade member who asked not to be named. 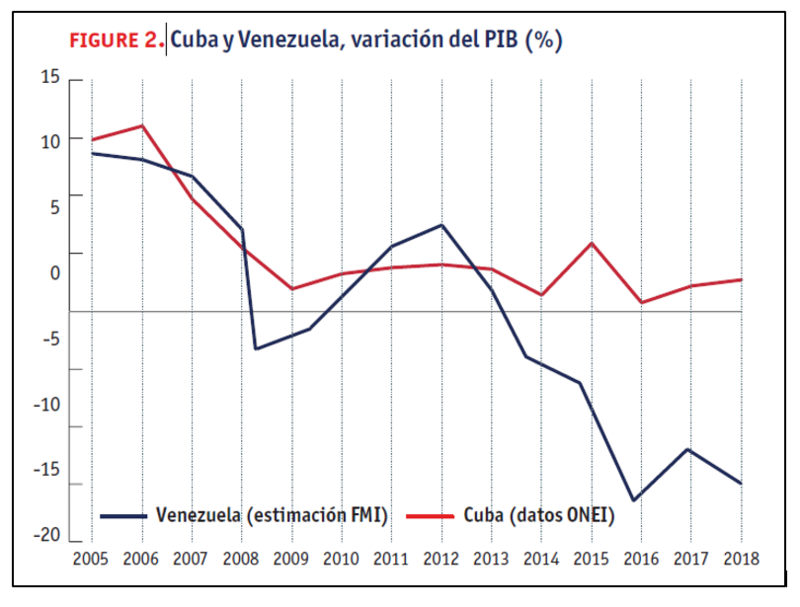 For Mr Castro, the slowdown is a serious blow to the limited market-orientated reforms begun under his leadership, especially the long-planned liberalisation of the peso, which requires a comfortable foreign reserve cushion. But foreign businesses hope it may speed economic opening. “Venezuela’s problems increase the chance of Cuban reforms. This government only acts when it has to,” says one Spanish investor on the island. One complication lies in how the government apportions resources. Cuba relies heavily on tourists, most of whom expect hotels with electricity and air-conditioning. Meanwhile, some 500,000 people, or 10 per cent of Cuba’s workforce, are employed at restaurants, lodging houses and other recently allowed private businesses which need power to ply their trade. Mr Castro insists residential users will be spared power cuts, for now, while Marino Murillo, who heads the reform commission of the ruling Communist party, says hard currency earning sectors such as tourism and nickel would be spared. Another problem is that the other countries Cuba exports medical services to, such as Algeria, Angola and Brazil, are also expected to reduce spending. 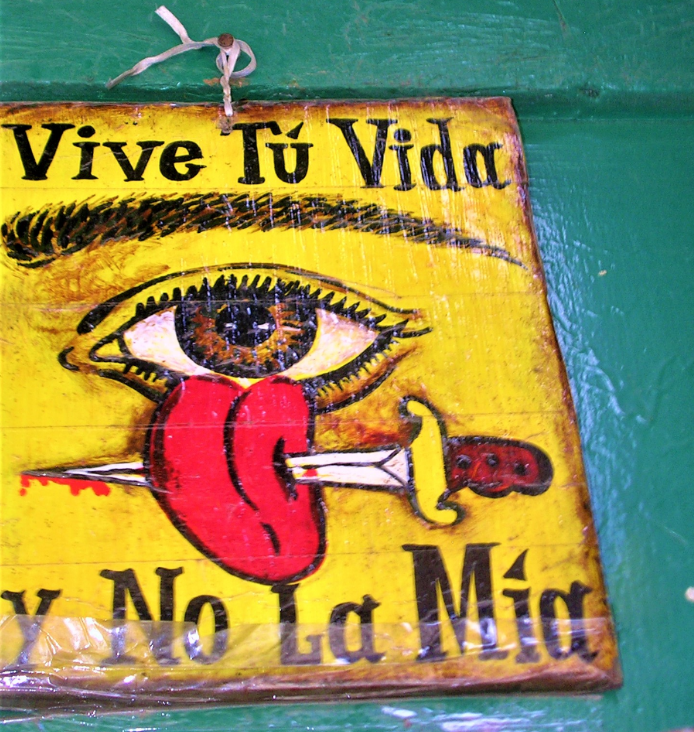 In 2014, medical services earned Cuba about $8bn, or 40 per cent of exports. “We cannot deny there will be some impact, including worse than currently, but we are prepared,” Mr Castro has said. Analysts suggest Mr Castro’s warning may in part serve to deflate expectations following the easing of US sanctions. Certainly, a full return to special period-style austerity looks unlikely as Cuba has more diversified income streams, from increased remittances, medical services, tourism to a nascent private sector. A return to the “Black-outs” of the early 1990s? No, I don’t think so. Maybe a few but unlikely to be as widespread or longlasting. Weak oil and nickel prices and a poor sugar harvest have contributed to Cuba’s woes, officials said. Venezuela’s economic agony has led many Cubans to wonder how much longer their oil-rich ally will continue to supply the island with crucial oil — especially if the government of President Nicolás Maduro falls. Those fears grew last week after Mr. Murillo warned of blackouts and state workers were asked to cut their hours and sharply reduce energy use. Still, some are perturbed at the prospect of power cuts. 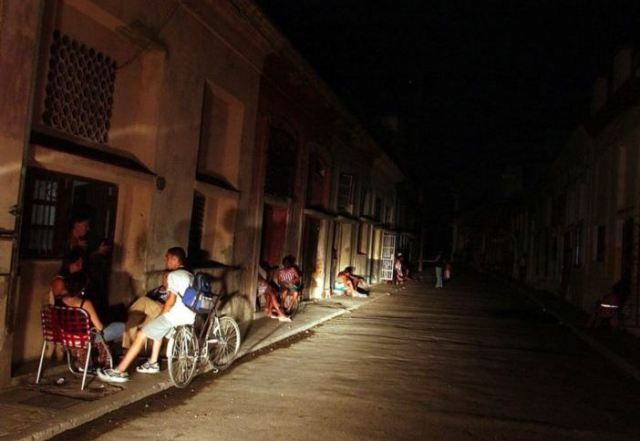 None of the Havana residents interviewed over the weekend had experienced power outages in their neighborhoods. Herbert Delgado-Rodríguez, 29, an art student, remembered his mother cooking with charcoal in the 1990s. One worker at a bank said that employees had been told to use air-conditioning for two hours each day and work a half-day. Fuel for office cars had been cut by half, she said. A university professor said that she had been given a fan for her office and told to work at home when possible. Jose Gonzales, who owns a small cafeteria in downtown Havana, was more sanguine. Not all offices or companies have been affected, and Mr. Murillo said that the idea was to ration energy in some users so that others — homes, tourist facilities and companies — could use as much as they need. In all, he said, the government aimed to cut electricity usage by 6 percent and fuel by 28 percent in the second half of the year. Under an agreement signed in 2000, Venezuela supplies Cuba with about 80,000 barrels of oil per day, a deal worth about $1.3 billion, said Jorge Piñon, an energy expert at the University of Texas. In return, Cuba sends thousands of medical and other specialists to Venezuela. On Friday, Mr. Castro said there had been a “certain contraction” of that oil supply. How large of a contraction is unclear. Reuters reported last week that shipments of crude to Cuba had fallen 40 percent in the first half of this year. Mr. Piñon said that at least part of the reduction was oil that Venezuela refines in Cuba and then ships out again. Cuba’s energy problems may also be a product of growing demand on the electricity grid, he said. Electricity consumption has risen dramatically over the past 10 years as Cubans who receive remittances from abroad kept air-conditioners whirring and private restaurants, bars and bed-and-breakfasts added refrigerators and heated food in toaster ovens. Tourism has soared since the United States and Cuba announced an end to their 50-year standoff in December 2014. The number of visitors rose 13.5 percent in the first four months of 2016 and is likely to rise further when commercial flights from the United States begin this year. If Venezuela did halt oil exports to Cuba, it would not necessarily precipitate a political crisis, experts and bloggers said. The United States may offer help in order to prevent instability or a mass exodus of desperate Cubans. 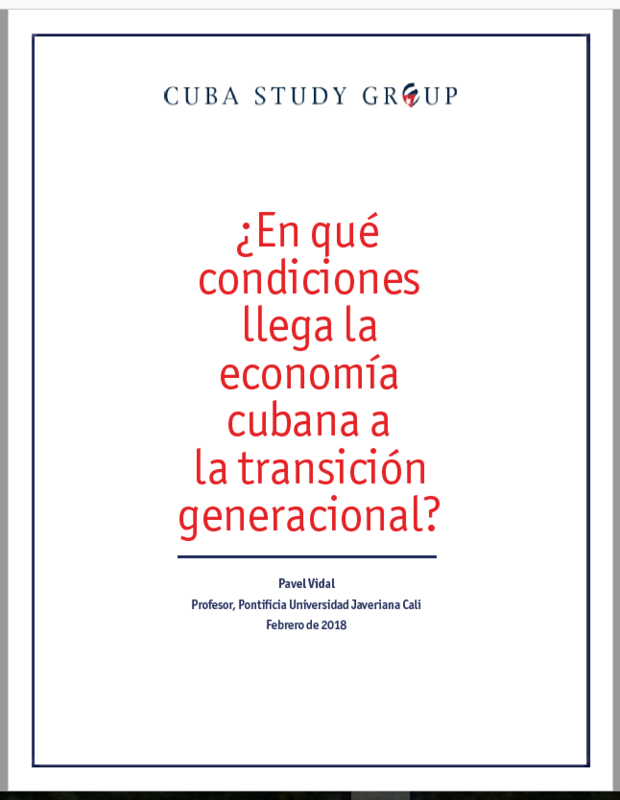 The Cuban government might speed reforms and open the door wider to foreign investment, Mr. Entwistle said. A growing number of Cuban health professionals working in Venezuela are fleeing or seeking second jobs as a result of the economic and political crisis in the South American country. Tania Tamara Rodríguez never thought she would escape from the Cuban medical teams in Venezuela and become a “deserter,” now blocked by her government from returning to her country for eight years. But the many difficulties that Cuban health professionals face in Venezuela as a result of the economic and political crisis in the South American country are leading a growing number to seek refuge in neighboring countries or obtain other jobs to make ends meet. “Conditions for the doctors and other health professionals are horrible. You live all the time under the threat of being returned to Cuba, losing the job. You’re afraid they will take all the money – which is in Cuban government accounts – and revoke your assignment (to Venezuela) if they want to discipline you,” said Rodríguez, who now lives in Tampa. While she worked in a medical laboratory in Venezuela as part of Cuba’s “Mission to the Neighborhood” medical aid program, the government deposited Rodríguez’s salary of 700 pesos per month (about $29) to an account in Cuba and gave her access to $280 dollars (U.S.) per month and a card for 25 percent off at the TRD shops in Cuba, which offer hard-to-find imported goods at dollar prices. In 2014, after acknowledging that its “export of health services” was earning the island more than $8.2 billion a year, the Cuban government increased salaries in the domestic health sector. Even with the increases, which took effect after the public health sector had dismissed 109,000 employees, Cuban doctors are still not earning even close to the international median. Rodríguez went to Venezuela in early 2015 from the eastern city of Holguín where she worked in the laboratory of the Máximo Gómez Báez. She agreed to join one of Cuba’s many medical teams in foreign countries in hopes of providing better opportunities for her 13-year-old daughter. 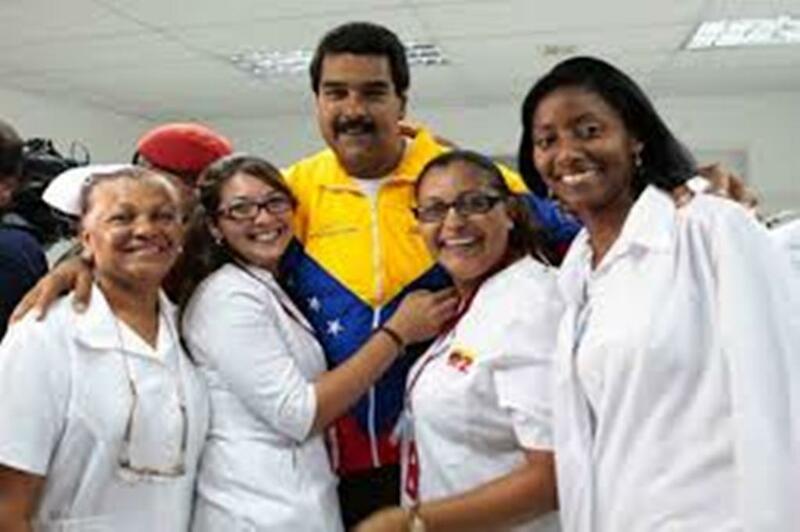 Cuba currently has about 28,810 medical personnel in Venezuela working in public health programs that, according to President Nicolás Maduro, represent a priority sector for his government and has cost Venezuela more than $250 billion since 1999. The payment arrangement, essentially trading Venezuelan oil for Cuban medical personnel, has been repeatedly denounced by critics as a way for the Venezuelan government to cover up its subsidies to Cuba. Cuba then resells part of the refined oil products on the international market. Rodríguez, who arrived in the United States after a few months in Venezuela under the U.S. government’s special parole program for Cuban medical personnel who defect, saved the money needed to buy her daughter a plane ticket to the United States from Cuba. But when her family took the girl to an Interior Ministry office to apply for a passport, she was denied because the mother was still listed as working in Venezuela. “I don’t understand how I can be listed as working when I have been in the United States for more than a year. 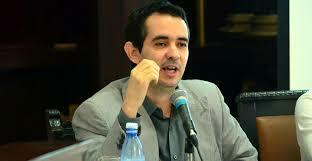 Someone must be pocketing the money the Venezuelan government is paying for me,” Rodríguez said. According to the U.S. Citizenship and Immigration Service (USCIS) agency, 2,335 petitions were received in Fiscal Year 2015 under the Cuban Medical Professional Parole (CMPP) program, an initiative by the George W. Bush administration that offers visas to Cuban medical personnel “recruited by the (Cuban) government to study or work in a third country. Since its start in 2006, more than 8,000 medical professionals have been admitted under the program. Solidarity Without Borders, a Hialeah non-profit that helps the arriving Cuban medical professionals, told el Nuevo Herald that the number of Cubans applying for the CMPP has risen in recent years. Not everyone is accepted, and 367 were rejected in fiscal year 2015, according to official data. Rodríguez said that when she arrived in Venezuela in 2015, she was assigned to work with other Cuban medical personnel in the north central state of Falcon. During the time she worked in Venezuela, Cuban officials paid each medical professional about 3,000 bolivares (about $3) per month — an amount that has increased substantially recently because of an inflationary crisis and the relentless devaluation of the Venezuelan currency. Another Cuban doctor who works in the northeastern state of Anzoategui spoke on the condition of not being identified because of fear of being punished for speaking with a journalist. Officials of the Cuban medical teams in Venezuela justify the daily check-ins as a security measure due to the high levels of violence in the neighborhoods where they work. The doctors, however, see it as part of an effort to keep a close watch on them. The economy in Venezuela is so poor, he added, that returning from his last vacation in Cuba he had to carry back laundry and bathroom soap and toothpaste. Several other medical professionals in Venezuela also said that authorities try to hide cases when the Cubans become the victims of crimes, even when they are killed. The personal relations of the Cuban medical personnel are also watched. During the 13 years that Cuba has been sending medical personnel to Venezuela, more than 124,000 have served in the South American country. Thousands have escaped to the United States and other countries, searching for better lives. But there was a catch: Those who returned would need a special permit to travel abroad again.